Today I'm so excited to bring you an interview with Caroline Leech for World War II Wednesday. 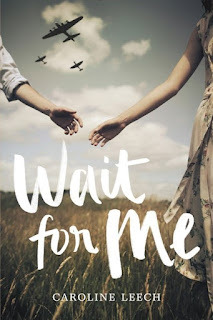 Caroline's debut novel, Wait for Me, is set in Scotland during World War II. It's about a girl named Lorna who works on her father's farm and waits for her brothers to return home from the war. With farming essential to the war effort and farmhands scarce, German POWs from the nearby camp are assigned to help on the farms. Lorna is horrified by the thought of working alongside the enemy, but it turns out that Paul Vogel, scarred and battered, is not at all what she expected. Beyond its great setting and forbidden romance, Wait for Me is a book of humanity and healing. I read it in November and absolutely loved it. We featured it in our most recent World War II Wednesday, and I even sneaked it onto my Favorite Debuts of the Year list! I'm so thrilled to be able to bring you some behind-the-scenes details today! Wait for Me is a book about Lorna’s life on the home front in Scotland during World War II. I loved the Scottish setting and hoped you could share a little more about how you came to write a book set in 1945 Scotland. First of all, I should declare that I am Scottish, even though I live in Texas these days, so when I first started working on this story, it seemed an obvious place to set it. The village of Aberlady is about 20 miles from where I grew up in Edinburgh, and I loved daytrips as a child along that stretch of coastline, with its picturesque towns, old harbors and gorgeous beaches (and yes, I liked the ice-cream cones too). My parents have a watercolor of the sands of Aberlady Bay at low tide in their home, but other than that, there was no real reason to choose Aberlady, other than it seemed like the perfect place for a fictional farm. There are two golf courses side by side on the edge of the village, and I decided that their land should become Lorna’s home, Craigielaw Farm. I swear it was only later that I discovered that one of the golf courses would have been a farm in 1945, and that Aberlady’s local stately home, Gosford House, had actually had a POW camp in its grounds from where men were sent to work on the local farms and nurseries, just like in my story. Even later, after the book was finished, I found out about several romances between Gosford POWs and local Aberlady girls. Some things, I suppose, were just meant to be. One of my favorite things about reading Wait for Me was learning about the factual background that inspired the book. Can you share with the readers some of the research you uncovered in the process of writing the book that led to the creation of the story? A friend of mine told me, in passing, that her father had grown up on a farm on which German prisoners of war had worked. Until then, although I had read a lot about World War Two, I had never heard of such a practice, so I immediately began to research it. For the first few years of the war, as the men were called up to fight, the hard labor on British farms had mostly been done by men too old or too young to join the military (although farming was a reserved occupation, so any farmer could apply to be exempt from conscription) and also by members of the Women’s Land Army. These were young women, often without any farming experience, who were sent far from home to do tasks which until then had been regarded as “man’s work”. 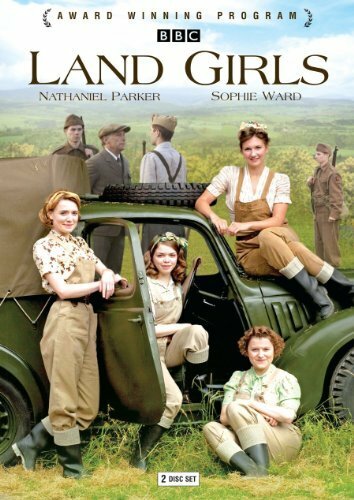 Many of these Land Girls – like my character, Nellie – were from the major cities like London, and had never have even seen a cow before they were expected to milk one. However, after the invasion of France on D-Day in June 1944, Britain faced the problem of ever-increasing numbers of German and Italian soldiers, airmen and sailors who had been captured, and who had to be held prisoner until the end of the war. The prisoners were first held at detention centers like that at Kempton Park race course and Hampden Park soccer stadium, where they were deloused, interrogated and graded on their loyalty to the Nazi regime. Many men, some as young as 17, had been conscripted into the military under threat of execution for themselves and their families, so bore no loyalty to Hitler. They were therefore separated from the committed Nazis, and were sent to different lower-security camps. It quickly became apparent, however, that leaving fit and healthy men cooped up was helping nobody, so from the fall of 1944 onward, those prisoners were sent out to work on local farms and in nurseries, though most were taken back to the camps at night. They also worked on road repair and on building sites. “Fraternization with the local population” was strictly forbidden, but not strictly enforced, and many life-long friendships began during those difficult days. When I told friends about my book, and the history which inspired it, I started to hear stories about their own family members who had known (or even fallen in love with) German prisoners. One friend’s engagement ring was one which had been made for her grandmother by a German POW. Her grandmother had treasured the ring, even after he had been repatriated back to his wife and children in Germany after the war, and her own English sweetheart returned from the Army to become her husband. The family believes the friendship which led to the gift of the ring was simply platonic, but I can’t help but wonder . . . Perhaps that’s just the writer in me, always searching for the most romantic story, even one with an unhappy ending. Wait for Me is such a great addition to a genre that is just full of terrific books. I always love reading novels about World War II and am always amazed at how many stories there are to tell about that time in history. What are some of your favorite World War II novels and what aspects of the war have they opened your eyes to? Prisoner of Night and Fog by Anne Blankman – this book, and its sequel, are actually set in pre-war Germany, the main characters witnessing first-hand Hitler’s rise to power, showing how he persuaded, inspired or terrorized a whole nation into supporting his Nazi beliefs, leading to the invasions of other European countries, and ultimately the Holocaust. All the Light We Cannot See by Anthony Doerr – a truly brilliant, Pulitzer-winning story of a blind French girl and a German boy soldier whose paths collide in occupied France as both try to survive the devastation of the war. Code Name Verity by Elizabeth Wein – an incredibly moving YA novel which tells the stories of two young women, one a secret agent and one a pilot, and cleverly interweaves their friendship into their devastating experiences. The Boy in the Striped Pajamas by John Boyne – a short but perfectly formed novel told in the voice of a small boy whose family is forced to leave Berlin in 1942 because his father has been given a promotion. We are led through his new world in the countryside gradually, understanding the horror of what's happening around him only by reading between the lines of the story as seen by his own very innocent eyes. 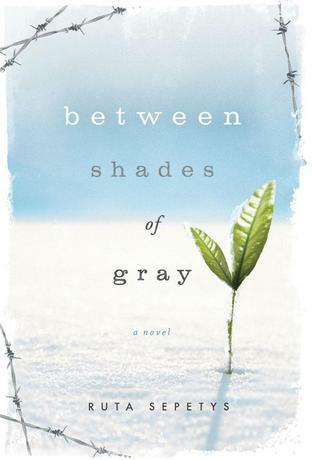 Between Shades of Gray by Ruta Sepetys – a gripping and heart-rending story of a young Lithuanian refugee and her family, arrested by Soviet soldiers and transported to a work camp in Siberia. That Burning Summer by Lydia Syson (Sky Pony Press, January 24th) -- Set in the south of England in 1940, Peggy’s life is turned upside down by the crash landing of a young Polish pilot, who is injured and distressed, and who desperately needs Peggy’s help. 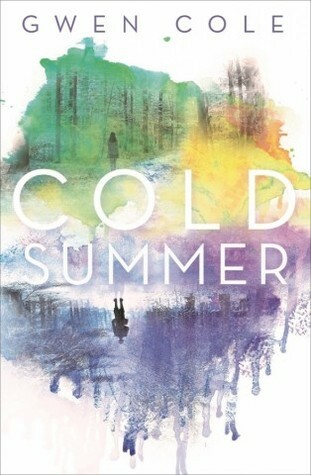 Cold Summer by Gwen Cole (Sky Pony Press, May 2nd) -- A contemporary high school dropout is increasingly unable to prevent the intense time-travel episodes which take him back to the battlefields of Europe in 1945 and leave him with wounds, both physical and mental, even as he returns to his modern life. Among the Red Stars by Gwen C. Katz (HarperTeen, Fall 2017) -- Inspired by the true story of the Russian airwomen the Nazis called Night Witches, this story follows Valka, one of these young pilots, from the thrills of learning to fly to the trauma of dropping bombs on German cities. Valka must decide how much she is willing to risk to defent the skies she once called home. I know that you plan to visit the World War II era again in your writing. Can you give us any (tiny) hints about what other aspects of the war you will be exploring? I am currently working on a second novel for Harper Teen which is due out in 2018. It’s also set in Scotland during World War Two, though it’s not a sequel to WAIT FOR ME. I can’t say too much about it yet, but it follows a teenage girl who is determined to do her bit for the war effort, though the work she ends up doing is something quite unexpected. A breathtaking WW2 romance for fans of Elizabeth Wein’s CODE NAME VERITY and Ruta Sepetys’s BETWEEN SHADES OF GREY. Can their love survive a war? It’s 1945, and Lorna Anderson’s life on her father’s farm in Scotland consists of endless chores and rationing, knitting Red Cross scarves, and praying for an Allied victory. So when Paul Vogel, a German prisoner of war, is assigned as the new farmhand, Lorna is appalled. How can she possibly work alongside the enemy when her own brothers are risking their lives for their country? 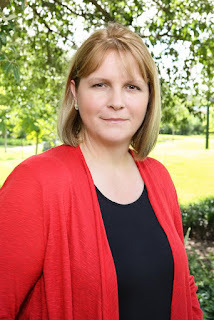 Caroline Leech is a Scottish writer who moved to Texas for an adventure ten years ago. Her debut novel for young adults, WAIT FOR ME, will be published in the USA by Harper Teen on January 31st. Set in Scotland towards the end of World War Two, the book tells the story of a girl’s friendship with a German prisoner of war who is sent to work on her father’s farm. Harper Teen will also publish Caroline's second YA novel in early 2018. Caroline lives in Houston TX with her husband and three teenage children, and she can be found online at www.carolineleech.com and @carolinesblurb. Thanks for the recommendation! I love Code Name Verity and The Book Thief. I absolutely can not wait to get my hands on this book! Ah, this one looks so good! I love the synopsis and it seems like it has such a new and romantic perspective; I'm so excited to read it! This book is definitely for you then! I hope you love it.